A review of The Cross by Edward Surrey. Published in Australia by CEP. With this book, Edward Surrey has attempted to give us a simple, but not simplistic, overview of the cross with teenagers as the target audience. It’s a worthy, if not scary, task! Thankfully, this will be a useful tool for those of us who work with or parent teenagers, especially as we seek to give our young people a framework for understanding Jesus’ death on the cross as it relates to all of God’s story in the bible and our daily life as Christians. Edward Surrey is the assistant minister at St Matthew’s, Shenton Park, and works day to day with young people. And it shows as the great strength of The Cross is that it uses metaphors and imagination to communicate theological truth. For example, the problem of sin is described as the problem of having ‘I’ at the centre of our life, no matter how naughty or nice we are (p 18). 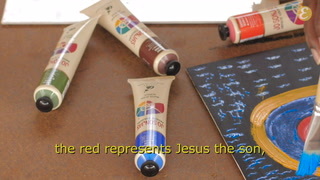 Or, how Surrey helpfully shows how the Lamb of Exodus connects to Jesus as our substitute, and then is shown to us again as the Lamb in Revelation. As I read, I found myself thinking, “I love how he said that, I’m going to use that next time I preach”. So thanks for making me look good Ed! In the section on “End Times”, there is also some practical wisdom stuff on how the cross needs to actually make a difference in our lives and cause us to love, and choose to suffer as Jesus did for us. There were a few points the book felt unnecessarily preachy against Christians who might put things differently to Surrey’s own view as a Reformed Evangelical. For example, a story about how a girl called MJ who ends up at a ‘cool’ church which was all about ‘works not words’ clearly implies that the ‘boring words’ church was right. The book could also have been clearer exactly who it was written for. At times it seemed to waver between being for the seeking, not yet Christian youth, and at others, more for the Christian who already knows a bit, but wants to get her head around the big picture of the bible. However, there are many strong points of the book. It uses mnemonics to help encapsulate the storyline of scripture: From Eden to Emmanuel to End Times to End (with a few extra bits in between). These are memorable reminders of where the book is up to in the story of the Cross. At the same time, with an awareness of the teens that I work with who aren’t big readers, perhaps there could have been more diagrams or pictures to break up to the text. All in all, I would use this book in my ministry. It could also be something used in baptism or confirmation classes. 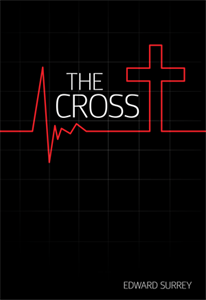 But particularly for those who are perhaps in the senior high school grades, who enjoy reading, this would be a great book to shore up the knowledge of the Cross that stands at the centre of the Bible. Chris Bowditch is the Youth and Young Adult Minister at Wellspring Anglican, Hobart.